Agleam is “new science” in cleaning, polishing & protecting just about everything in your car, boat & home. agleam works on painted items, metal, chrome, plastic, glass, rubber, wood, leather & more! agleam replaces the need for multiple cleaning, polishing & protecting products. 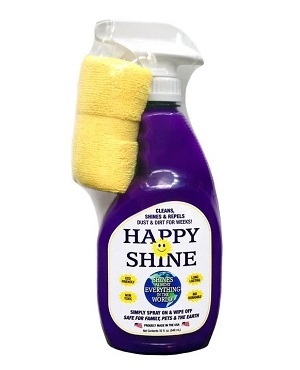 use it on everything except upholstery, carpet & floors. 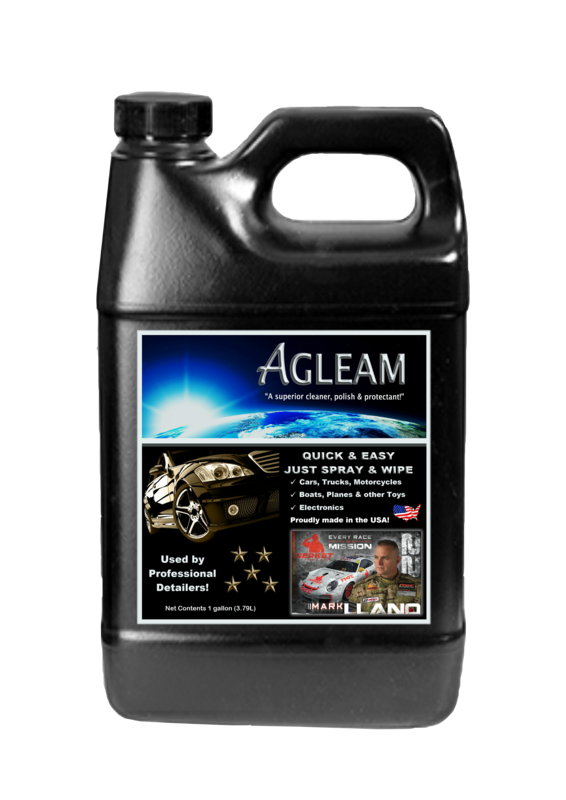 Agleam 1 gallon ready-to-use replaces the need for multiple cleaning, polishing, and protecting products. Agleam is “new science” in cleaning, polishing & protecting just about everything in your car, boat & home. Agleam works on painted items, metal, chrome, plastic, glass, rubber, wood, leather & more! Use it on everything except upholstery, carpet & floors. Looking for a foam spray cleaner? Try our Agleam Agleam 16oz Foam Can. Cleans, shines and protects almost everything in the world! Agleam works on: painted items, metal, chrome, plastic, acrylic, glass, rubber, wood, leather, granite, and more!